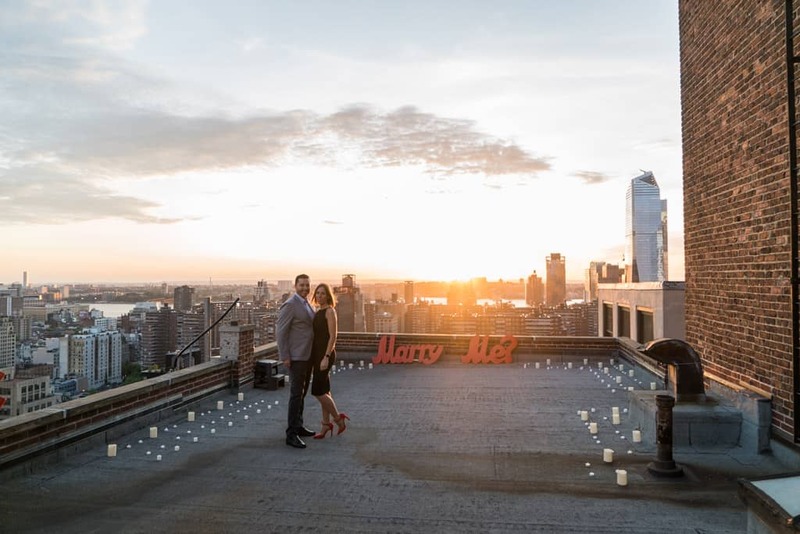 Spring ideas for the rooftop proposal. Spring is finally here and it is the perfect time for a breathtaking engagement. It is the time, when the days are getting longer and warmer and everything around is getting full of life and love. So how to use this season for a romantic proposal? There is something unforgettable in the private picnic on a rooftop with the view that will take her breath away. Close her eyes and bring her to the secret location. When the elevator doors open up you can take the blinder away she will see the picnic table with your pictures on it and a “Marry me?” sign next to it. Enjoy the moment and your picnic. This is a wonderful opportunity to show your creativity and surprise your partner. Write a ” Will you Marry Me?” note in one of the eggs and let her find it. She will be caught off guard and definitely appreciate your cleaver proposal. What to do it on a rooftop? Even better. We can decorate the area with the baskets and eggs, all you will have to do it to walk in and propose. Tell her that you bought a private painting class for two. She will think that its a date night and wont suspect anything. While you both paint the same picture, you add ” Will You Marry Me?” on yours and we setting up the outdoor area behind her back. When the time will come, show her your art work and get on one knee. After affirmative “Yes!” take her hand and bring her to the rooftop, where candles and champagne will be waiting for you. Yes, Spring is famous everywhere with its gorgeous cherry blossoms. Invite your partner for a romantic walk and propose under the tree. Want to incorporate the idea for the rooftop? We can set up the place with life orchards, so when you walk in the sweet aroma of the blossoming flowers will please your senses. 5. Invite your partner for the astronomy night. Who knew, but spring time is famous for its meteor showers. Invite your partner for an astronomy night. When you walk into the rooftop, you will see the telescope and comfortable pillows with the ice bucket and champagne. Enjoy the starry night and ask her to be your wife on the falling star. 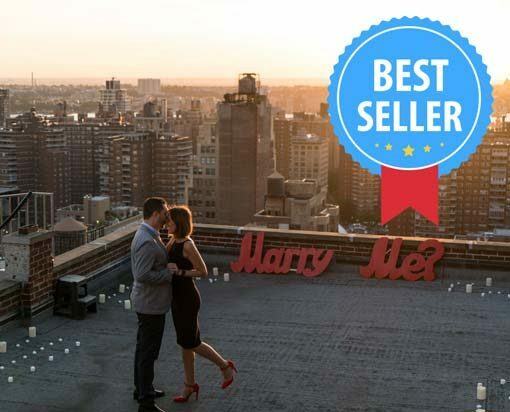 We hope our spring ideas inspired you and you ready to make your unforgettable proposal. The main thing, keep it in a secret, dont stress out, enjoy the process, hire your photographer. If you have any questions or comments please email us directly, we would like to hear back from you.